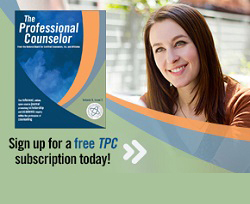 This interview is the second in the Lifetime Achievement in Counseling Series at TPC that presents an annual interview with a seminal figure who has attained outstanding achievement in counseling over a career. I am honored to present the interview of Amy King, a school counselor in Mississippi and the first practitioner to be interviewed for this series. I was fortunate to attend Ms. King’s presentation at a national conference and was inspired by her years of work with children, in school systems, and mentoring graduate students. 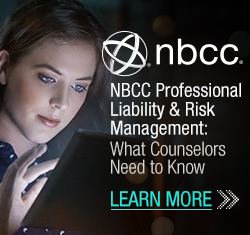 Her contributions to the counseling profession, from classroom guidance and counseling to advocating for school counselors, are noteworthy, and set the bar for other clinicians. Joshua Smith and Dr. Neal Gray graciously accepted the assignment to interview Ms. King. What follows are Ms. King’s reflections on her school counseling career and its impact on her students over two generations. Indiscriminate friendliness (IF) is a prominent issue with children adopted from China to the United States. Through a mixed methods design, the authors explored four Chinese adoptees’ experiences of IF within their real-life context, investigated potential factors associated with IF, and examined the IF–attachment relationship. This mixed methods study consisted of a qualitative case study of four children adopted from China and a quantitative investigation into IF using a sample of 92 adoptive parents with Chinese adoptees. The qualitative findings revealed crucial propositions related to children’s IF, and the quantitative results provided further evidence to corroborate the qualitative findings. This study reinforced the stance that IF should be treated as a distinct construct from attachment. Researchers and professional counselors can benefit from the results of this study to better serve Chinese adoptive families. The Sexual Orientation Counselor Competency Scale (SOCCS), developed by Bidell in 2005, measures counselors’ levels of skills, awareness, and knowledge in assisting lesbian, gay, or bisexual (LGB) clients. 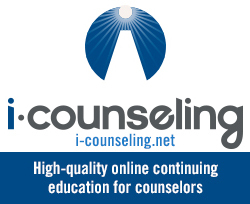 In an effort to gain an increased understanding of the construct validity of the SOCCS, researchers performed an exploratory factor analysis on the SOCCS with a sample of practicing counselors who were members of the Association for Lesbian, Gay, Bisexual, and Transgender Issues in Counseling (ALGBTIC) and counselors-in-training (N = 155) enrolled in four Council for Accreditation of Counseling & Related Educational Programs (CACREP)-accredited counseling programs. The data analyses resulted in a 4-factor model, 28-item assessment that explained 56% of the variance. In acknowledging the loading of the fourth factor, this result highlights the need to focus on involvement and engagement in clinical practice in order to maintain best practice standards. Furthermore, the fourth factor of experience adds a compelling perspective to consider when understanding, improving, and maintaining sexual orientation counselor competence.